Wake up bright and early and enjoy a family breakfast at the 2017 NZ Cafe of the year – Capers. The breakfast menu starts at 7am and the food never disappoints. The menu has a large variety of food, so the kids will be able to find something that suits their palet. Kids breakfasts, pancakes or french toast will set them up for a day of being happy little chaps. And we promise there are some awesome food options for you as well – they are all AMAZING, we can't even choose a favourite! 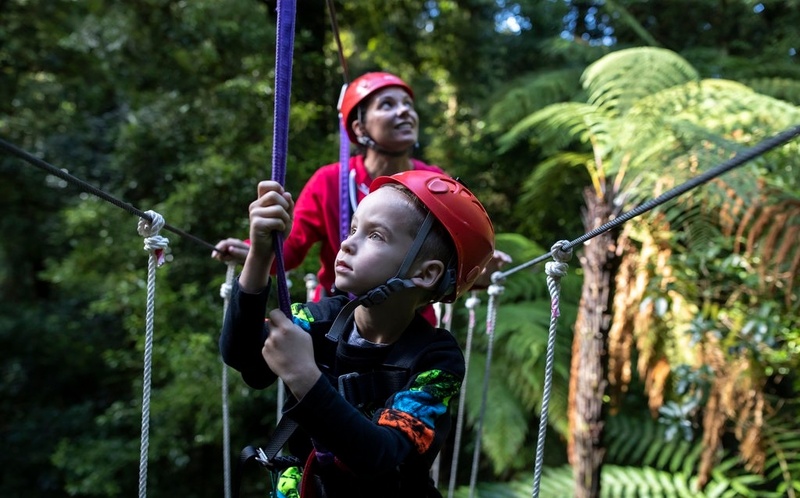 It is now time to experience one of the best activities to do in Rotorua during the school holidays - ziplining through native forest with Rotorua Canopy Tours. It is the perfect activity to keep the kids entertained for 3 - 3.5 hours but you don't have to do any of the entertaining. Just sit back and take in the views of native forest while creating memories with your family. You can leave everything else up to the two very entertaining and experienced guides that will guide your small group through a network of ziplines, swings bridges and a conservation trail. The best time of the day to visit Rotorua Canopy Tours is in the morning while the forest is still waking up and coming to life. Not only does the tour consist of ziplining but it is also very educational – learning all about the native forest and the damage that pests are causing to our native forests. Fun AND educational in the one tour – what more could you possibly want for a school holiday activity? After an adventurous and educational time with Rotorua Canopy Tours there will be a few hungry tummies and we have the best lunch stop for you! Ciabatta Bakery is delicious and one of the Rotorua Canopy Tours teams favourites! The sandwiches are tasty and massive, our favourite is the ‘Chookie’. Finish off your lunch with a delicious sweat treat - the custard slice is a local must try. 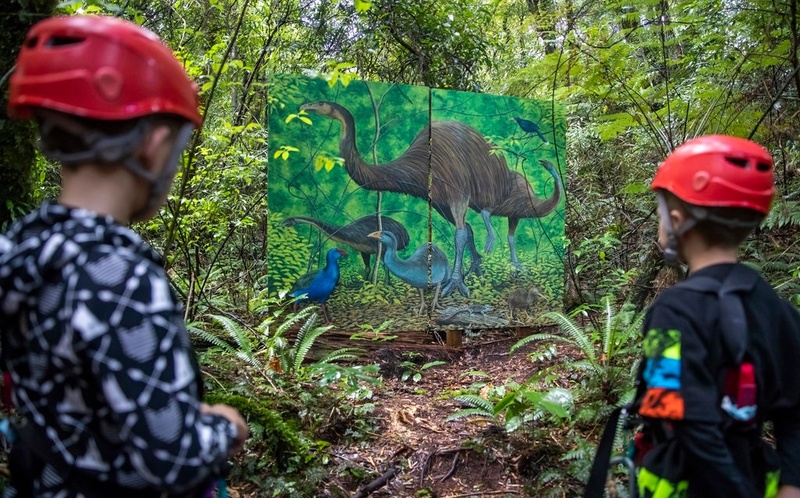 After one of the best lunches in town you and the kids will be rearing to go again for an afternoon discovering more of what Rotorua has to offer. 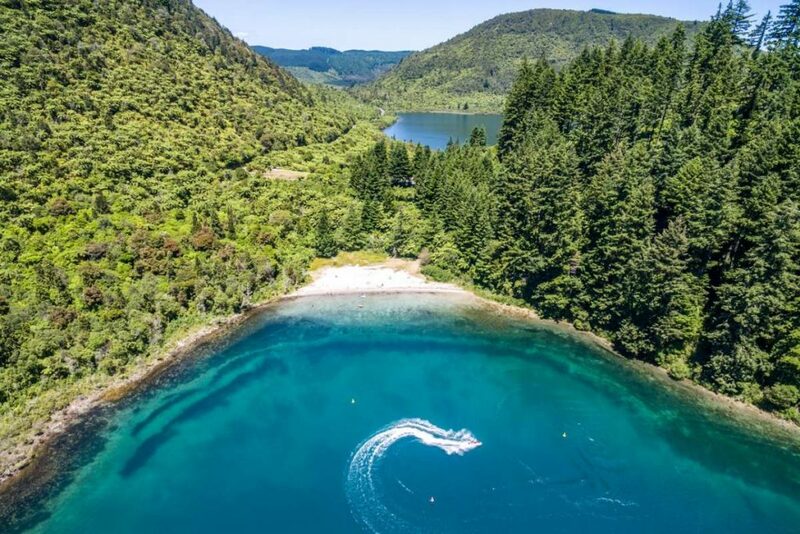 Lake Tikitapu (Blue Lake) is a beautiful area of Rotorua that visitors love just as much as the Rotorua locals. The 5.5km loop around the lakes edge is reasonably flat with minimal hills so it is the perfect activity for the kids to get them moving in the outdoors. You could easily spend a few hours here – playing on the kids’ playground, having an afternoon tea picnic, taking a dip in the clear blue waters or building sandcastles in the sand. After a busy day enjoying the Rotorua outdoors you deserve a delicious dinner and a way to finish off your day the best way possible. 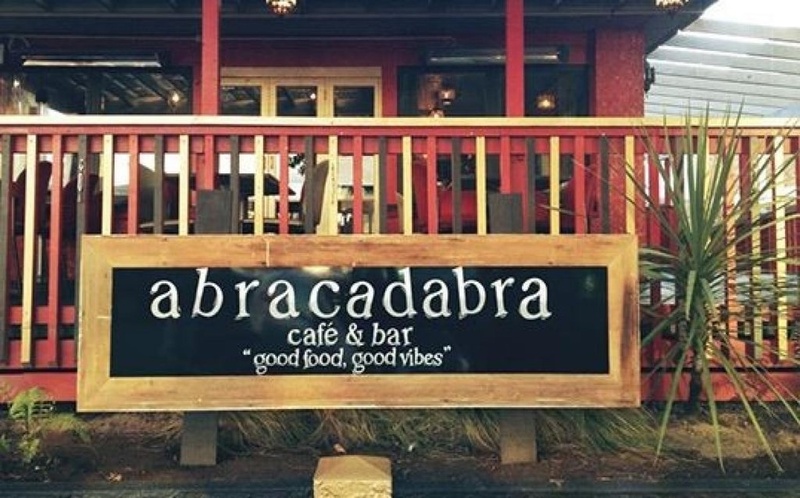 Abracadabra Café & bar is one of our local favourites for children and adults to go to and for very good reason – with a rustic bohemian feel along with delicious Mexican and Moroccan cuisine it is a must try in the opinion of the locals! And if you still have energy and want to do one last activity you should go and check out Polynesian Spa! It is relaxing for the whole family and the kids will be kept entertained by the slide in the family pool while you can sit back and relax in the hot pools. We know that entertaining the kids in the holidays can be a bit expensive so we have a deal for you so you can experience both Rotorua Canopy Tours and Polynesian Spa at a better rate – check out the zip & soak combo.